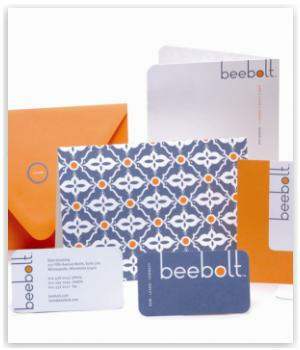 In a collaboration with the graphic design team at 5 by 5 design, a custom print was developed for use on the stationary system for beebolt. Intertwined lattice emphasizes the vibrant community aspect of the beebolt while the dot from the logo is incorporated as a strong branding element. 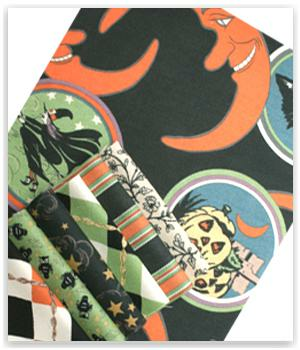 Original print designs incorporating retro Halloween motifs which were manufactured as a seasonal fabric collection for the independent quilting marketplace. The 100% cotton fabric line represents a whimsical interpretation of the holiday with a strong stripe, small scale conversational and a graphic focal print designed to work together in harmony. 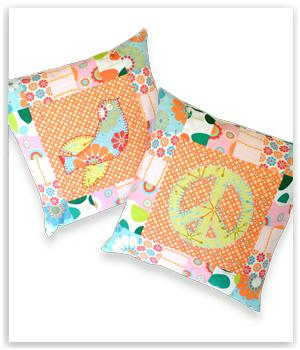 Originally designed for the Peace Pavilion, I have now have written a sewing pattern to craft these spirited throw pillows. Using appliqué to celebrate the iconic imagery of the peace sign and dove framed by simple patchwork piecing, these decorative accents celebrate the peace movement in a playful way. 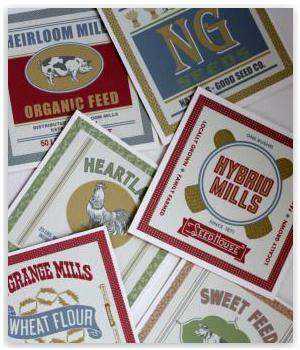 Inspired from the past and updated to reflect the renewed interest in sustainability, these graphic images are a subtle nod to the flour sacks of the 1930's with a gentle blend of text, calico, and illustration. 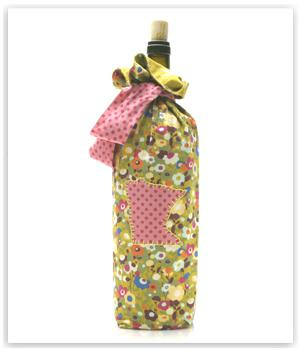 A sewing pattern for a reversible wine bag with an appliqué accent and contrast tie to mix and match favorite fabrics. Simple sewing techniques make it easy to personalize a gift of wine with a handcrafted and reusable bag. 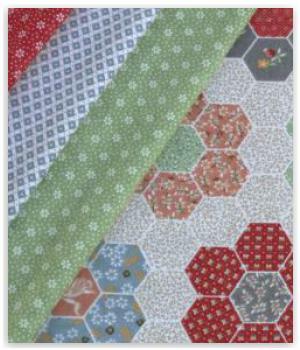 Heartland is a flannel fabric collection licensed to JoAnn Fabric & Crafts. Clean and simple homespun motifs are freshened with the gentle use of color and small scale pattern mixing to create a warm assortment of original prints. 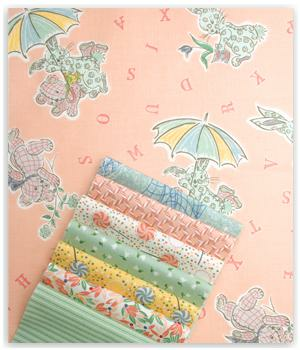 Soft and sweet drawings of bears and bunnies tossed with vintage lettering are the basis for this fabric collection done in quilter’s weight cotton and flannel. 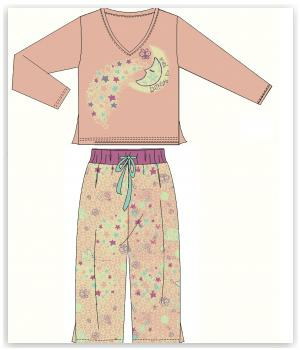 Fine gauge tonal stripes, simple floral prints and lollipops mixed with dots are colored in soft pastels to compliment the main print. Taking an element from an existing fabric design and interpreting it as embroidery, results in this design motif. 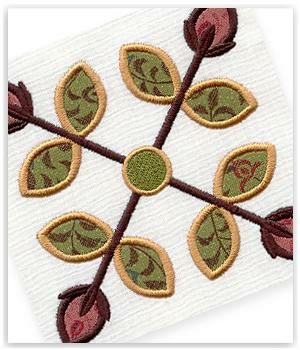 Individual options abound in thread color and fabric selection for the stitching and appliqué areas. Timeless images from childhood position this fabric line as the perfect choice for decorating the nursery. The vintage feel from classic symbols such as the sandbox and swing set are given an update with a mid-tone color palette. 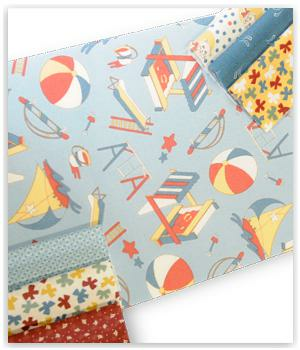 Play Date is a cotton fabric collection available in three colorations. This conversational tossed print is part of a 100% cotton fabric collection for the quilt industry. 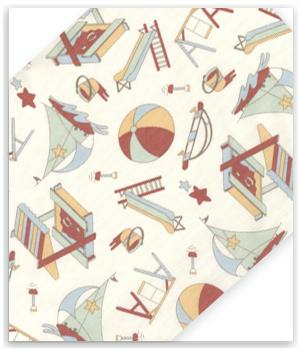 Images of beach balls, sand pails and sail boats conjure up thoughts of a day at the beach in this lighthearted fabric perfect for little ones or the young at heart. 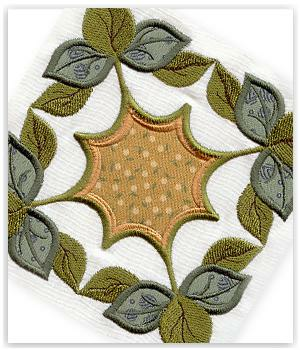 A combination of stitch filled and appliqué elements create sheen and texture in this machine embroidery design. Inspired by an existing fabric line, this design is one in a series of representations that offer an alternative or supplement to the printed textile collection. Using fabrics from Wiggles and Giggles, this quilt shows how the fabric collection works together in color, scale and design to achieve a harmonious design. 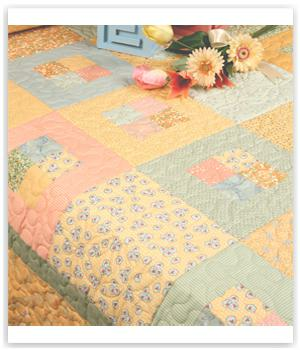 The variable piecing and proportion of patchwork create specific needs for fabric design.